To say that MAOS (Marvel’s Agents of S.H.I.E.L.D) started off slowly could perhaps be the entertainment understatement of the year. A show that started with so much hype and promise - they were bringing back Agent Coulson for Pete’s sake - missed the mark by quite a bit in the first half of its first season. From a viewer's perspective, when the show first started it felt like it could have been titled anything....there wasn't much to make you feel like you were watching something based in an established universe. 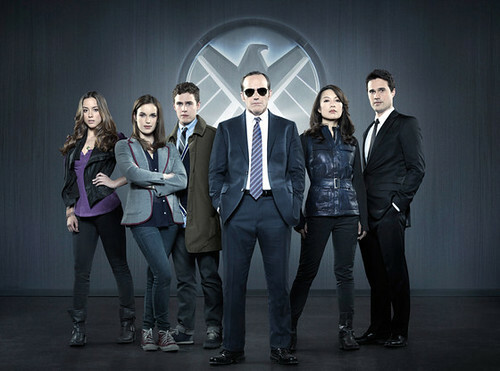 The first...oh let’s say 6 episodes - largely centered around Coulson’s new team and really honed in on a non-S.H.I.E.L.D agent, female computer hacker Skye. Huh? Your show is called “Agents of S.H.I.E.L.D” and you give me episodes obsessing about a non-agent who isn't part of the Marvel universe? I get wanting to bring in new characters into that universe, Agent Coulson is the poster kid for that, but frankly there isn't that much about Skye that makes me want to know more. From her "tough girl" hacker persona to her generic 'rope hair' (it's that same long slightly twisted hair that 90% of women on TV have-ugh, don't get me started), there just isn't much to make her compelling. I don’t care how mysterious her background is, stop trying to make her a thing. You know why most people are watching this show and she's not it. Where this show largely missed the mark was not taking advantage of the universe it’s a part of. It’s right in the title...MARVEL! As a viewer I want to know we are in the Marvel universe, otherwise this could be any sci-fi procedural. You have a pretty rich universe at your disposal, make use of it. This is where DC's Arrow (on the CW) excels. Yes, it's on the CW so fairly heavy on teen drama, but right from the start you know you are in the DC universe thanks to consistent and successful use of familiar characters. So, after all this griping why am I still watching? It’s because there has been a noticeable change...eventually...and not without some Internet drama. The show's creators and actors were quoted as saying fans weren't being patient enough. Week to week a payoff was promised. But this initially only came in a passing mention of "Asgard" or "Hawkeye and the Black Widow". That's it? Apparently in my regular life I talk more about the Marvel universe than your average SHIELD agent. Then there was a hiatus; I think maybe the Winter Olympics were the best thing to happen to this show. Whether it's thanks to re-shoots, or they really did just get there eventually, the show has shifted to better take advantage of the Marvel universe. They are finally and quite quickly starting to mine the Marvel catalog to remind the viewer that "Yes! This takes place in the same universe as that Avengers movie you liked so much". 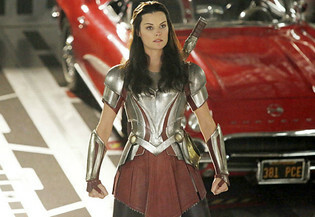 This was most noticeable when a recent episode of MAOS featured Lady Sif. The same Lady Sif from the Thor movies. Sif comes to Midgard to track-down and capture Lorelei, little sister of the Enchantress (think girl Loki). At long last, worlds are starting to literally collide. The storytelling seems to be improving as well. I'm not sure if it's because they are moving into more familiar territory or because yes, often shows do take a first season to hit their stride, but I have found myself actually enjoying watching, rather than wishing I was enjoying watching. With upcoming additions of S.H.I.E.L.D Agent Eric Koenig (played by Patton Oswalt) and Major Glenn Talbot (played by Adrian Pasdar) MAOS is bringing in characters who align with Captain America and The Hulk, respectively. While these are much lesser known characters (I had to google them), they symbolize more outreach into the source materials, and possibly a connection to the movie universe. I remain cautiously optimistic that this show has turned a corner. If you have stopped watching, maybe give it another try. I'll give it the rest of the season, especially since an upcoming connection to The Winter Solider has been teased (yes, yes, I am falling for that ploy). I gave The Walking Dead over 3 seasons to connect with me, so I think think I can invest a little more time in MAOS, so long as I continue to see some return on that investment.